Will it ever be good enough? 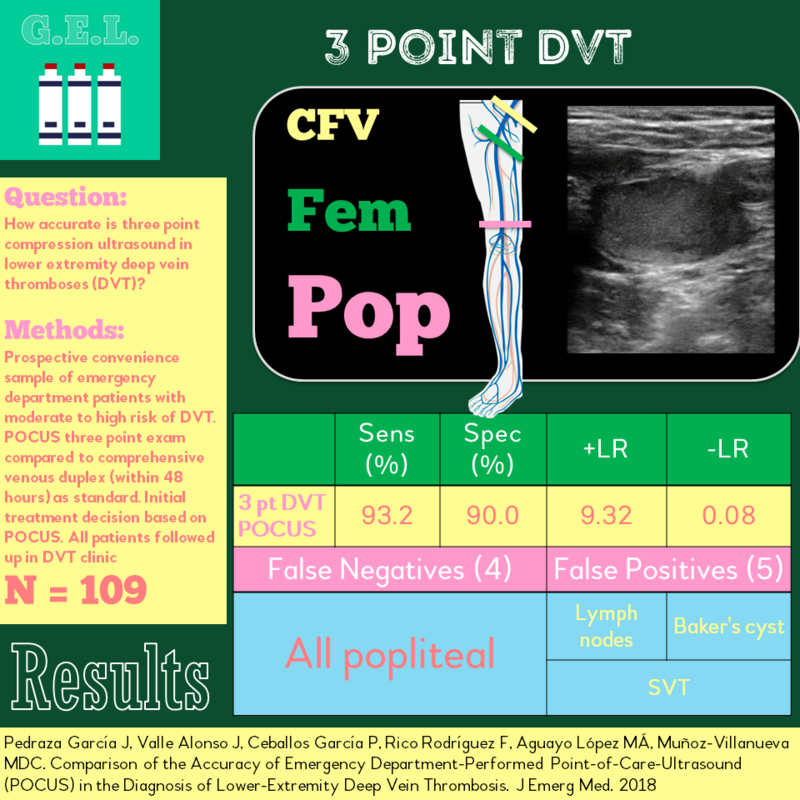 Point of care ultrasound can be great for finding and excluding deep vein thrombosis, but this is a high-risk diagnosis, so we want to be sure. Previous evidence has shown that a cursory look at two points along the lower extremity was not sufficient to rule out a DVT. 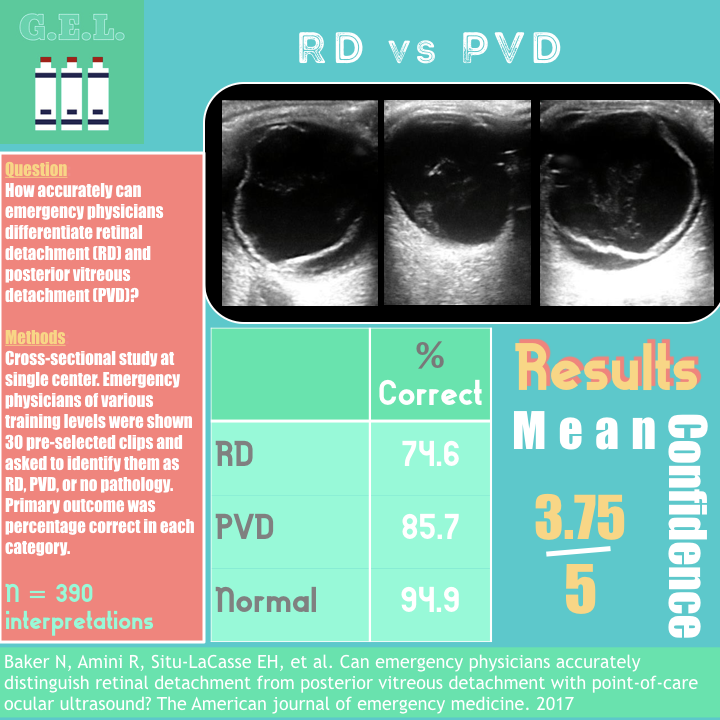 This article attempts to re-examine the accuracy of POCUS for this indication with a more thorough examination. Can POCUS improve work flow? Intussusception is hard to spell - but is it hard to see on point-of-care ultrasound? Fortunately, no it's not. 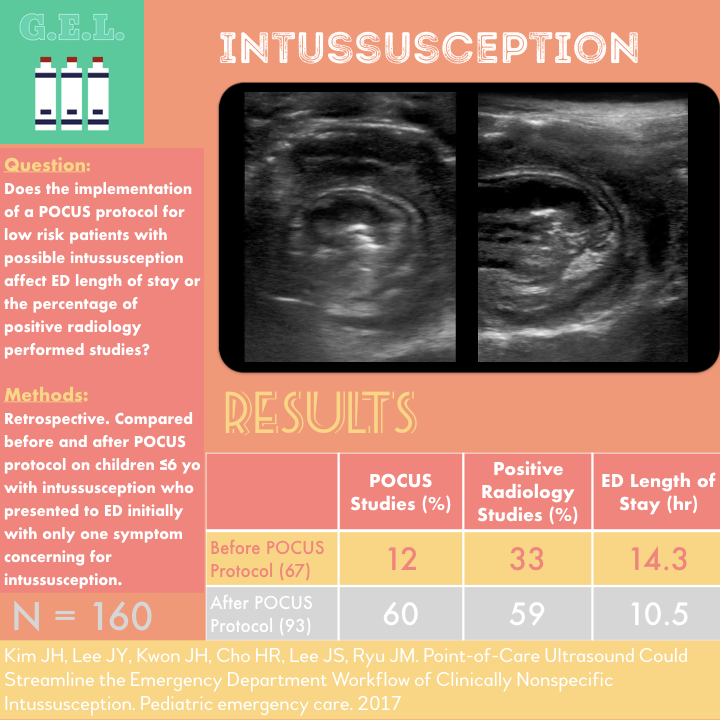 This study aims to see what happens when an emergency department starts implementing a "POCUS-first" strategy in children who may have intussusception. Can we do it accurately?